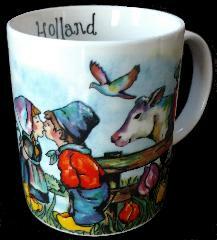 Mug -- Whimsical Mug with Kissing Couple - Mugs - The Dutch Shop LLC your store for Dutch groceries. 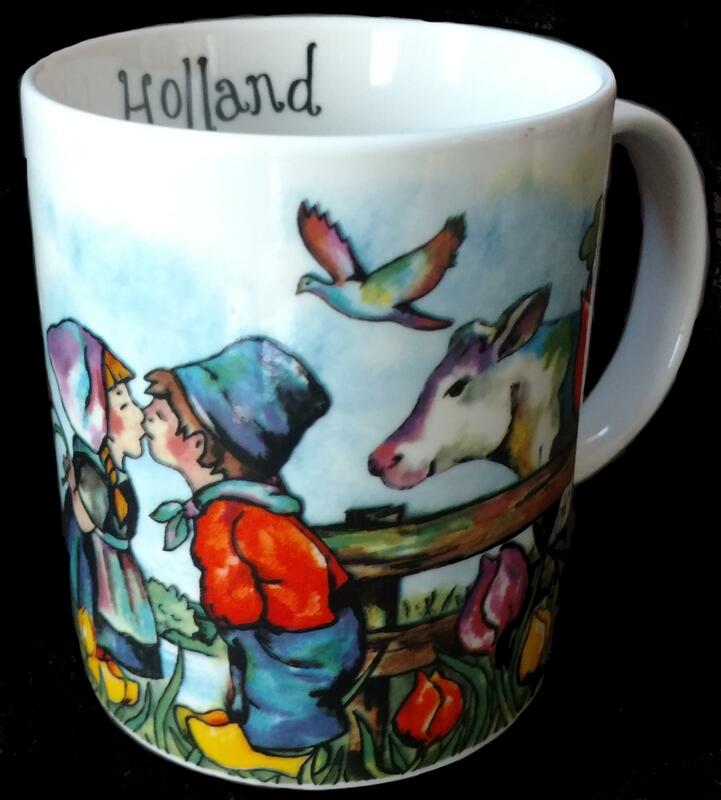 Beautiful whimsical Mug with Kissing Couple. Says Holland on the inside of the mug.